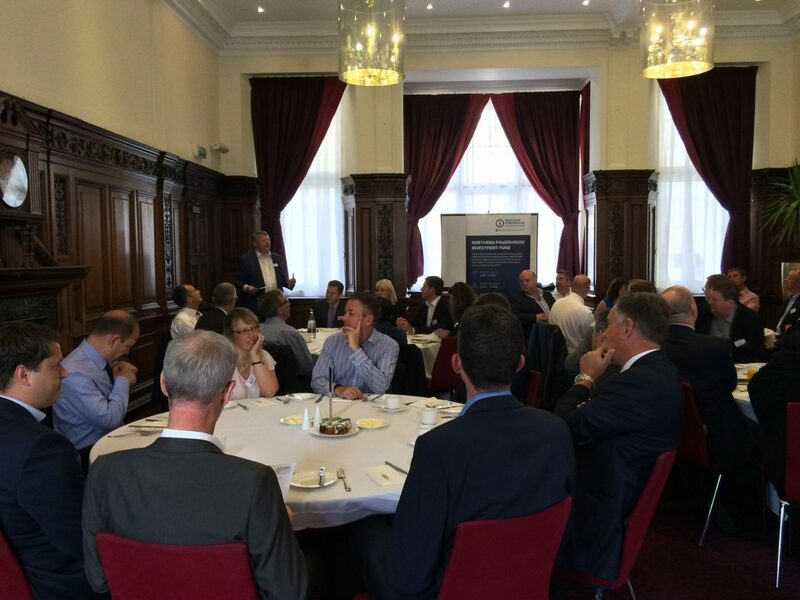 British Business Bank provided an opportunity for members of the Sheffield City Region (SCR) Corporate Finance community to meet the Fund Managers investing the Northern Powerhouse Investment Fund (NPIF) to discuss the availability of finance in the SCR at an exclusive breakfast event. Taking place at the Leopold Hotel, the breakfast brought together key representatives from the Sheffield business community, SCR Local Enterprise Partnership, NPIF Fund Managers, and British Business Bank staff to discuss the headway being made in the Sheffield City region following the launch of the Northern Powerhouse Investment Fund in February. The audience was also invited to take part in a Q&A session, in which the appetite and barriers for investment were discussed. The Fund Managers present included Enterprise Ventures, part of Mercia Technologies PLC, which is responsible for managing NPIF – Enterprise Ventures Equity Finance and NPIF – Enterprise Ventures Debt Finance, and Finance For Enterprise, responsible for co-managing NPIF – BEF & FFE Microfinance. Grant Peggie, Director at British Business Bank, said at the event: “Sheffield is a city on the move. With major Universities nurturing talented graduates, expert businesses across a number of exciting sectors, and strong appetite for investment across the region, there is much to be excited about as NPIF and our fund managers continue to build momentum. Arthur Foreman, Managing Director at Finance For Enterprise, said: “Our existing network of contacts and years of experience in developing an understanding of the regional investment landscape have meant we have been able to hit the ground running following the launch of NPIF. Julian Viggars, NPIF Equity Fund Manager and Head of Technology Investments at Enterprise Ventures, part of Mercia Technologies, said: “Over 400 businesses across the Yorkshire, Humber, and Tees Valley regions have expressed an interest in NPIF equity and debt funding. The demand for the funds has been high and the quality of applications has been impressive, demonstrating the exciting opportunities which the region is producing.